We have averaged $3,000-$4,000 per non-profit. For the small local organizations, this makes a big impact. Our goal is to contribute $10,000! 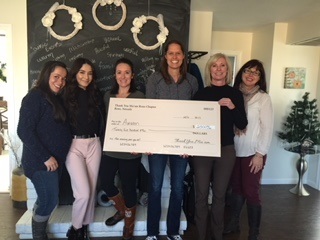 Thank You Ma'am Reno has some big plans for making a positive impact with local non-profits and we're off to a great start! 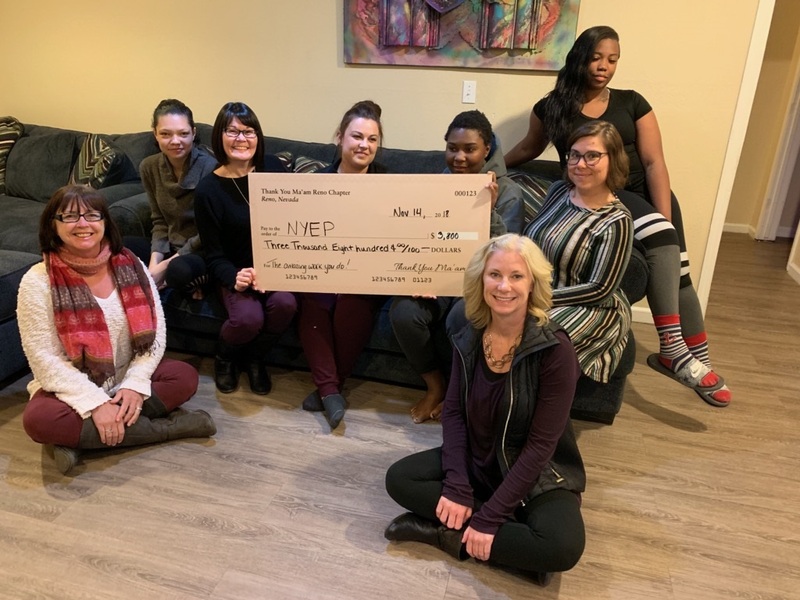 Since our first quarterly meeting in October, 2017, we have awarded nearly $20,000 to six amazing local non-profits including Awaken, NYEP, Project 150 and Lexie's Gift. We meet once a quarter and each member contributes $100. Members have the opportunity to nominate local 501(c)3 non-profits to receive our collected donations. We randomly pick up to four members to present their non-profits per quarter. Members then vote on the non-profits and the one receivng the most votes receives our donation for that quarter. The following quarter, we invite the non-profit to our meeting so they can tell us more about the work they're doing and how they utilized the money. There are no requirements for how the money is utilized — non-profits have the freedom to use it as they need it. We have averaged $3,000-$4,000 per non-profit. For the small local organizations, this makes a big impact. 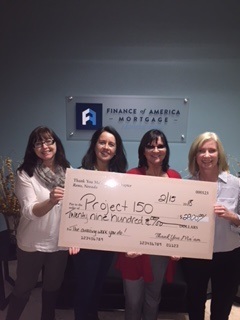 Our goal is to increase our membership to 100 women so each quarter we are able to contribute $10,000! In addition to providing funds to the selected non-profit, we send information about all the nominated non-profits in our newsletter and via social media to increase awareness of the good work being done. As we have met, quarter after after, we have seen connection between members grow. We have also witnessed members contributing additional money to non-profits who weren't selected. Here is an example of one such moment. A representative from a veteran's organization presented at a meeting. She talked about the assistance her group gives local veteran's, including assisting with dental care. One veteran was in need of a serious procedure and the group had about half the moeny needed. When this group didn't get the vote, members and visitors took out their wallets and contributed to make up the difference. A truly touching moment that speaks to the kind of people involved in our group! Mignon Lagatta, native Northern Nevadan and local Realtor, is the driving force behind Thank You Ma'am Reno. Mignon learned about a similar group in Seattle, Washington, and decided to start the Reno chapter. Mignon had been searching for a way to give back to her community. 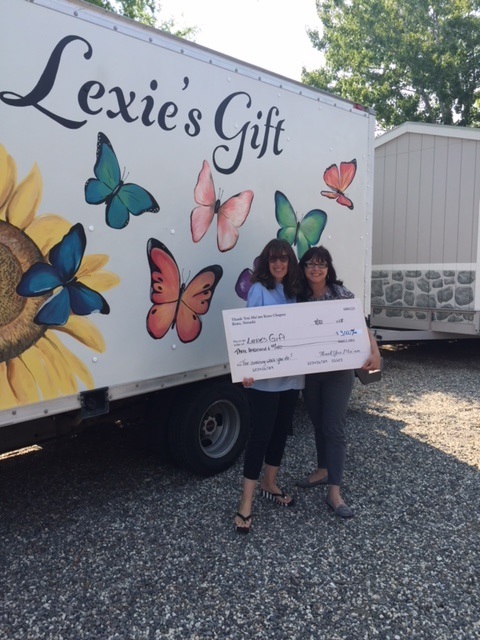 Once she learned about this giving group, she knew she had found the answer. One of the aspects of this model that appealed to Mignon is the ability to make a significant impact without a huge financial or time commitment. Each member contributes $100 per quarter and we keep each meeting to just one hour. Even with our busy lives, we can find an hour a quarter. Together with her trusty sidekick – me, Tracy Ceragioli – we launched Thank You Ma'am. As membership has grown and we have become more and more involved in the non-profit world, we can see the difference we're making. We both feel giving back is an important part of being in a community and we're thrilled to be able to contribute in this way. We are always looking for new members to reach our goal of 100 members. For more information, please check out our site, better yet, join us at a meeting to see what we're all about. We meet quarterly at The Grove in South Reno. The meeting space is generously donated each quarter and we are truly grateful to the Grove. Our next meeting is Tuesday, April 23. Doors open at 5:30, the meeting is held from 6:00-7:00pm. Sometimes a Name Says It All – Meet the Good Supply Co.
Reno is actively participating in product philanthropy thanks to the work of the Good Supply Co. By getting retail goods that would otherwise go to waste into the hands of those in need, Good Supply Co. is helping local non-profits serve their communities while protecting the environment. Have you heard of product philanthropy? 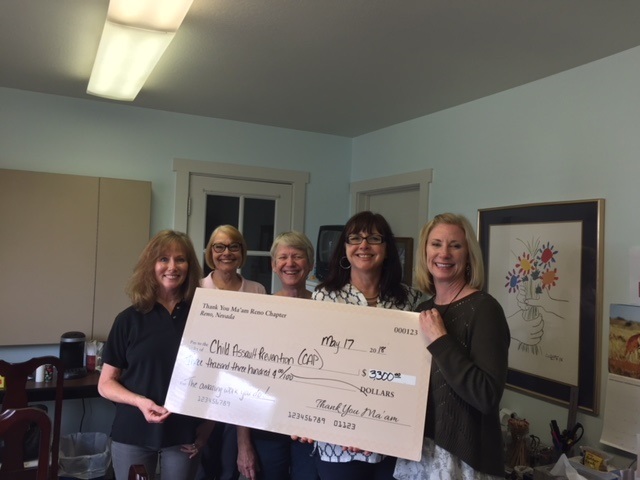 Reno Behavioral Healthcare Hospital recently presented a check to The National Alliance on Mental Illness (NAMI) to support their mission to improve the quality of life for persons who are affected by mental illness.